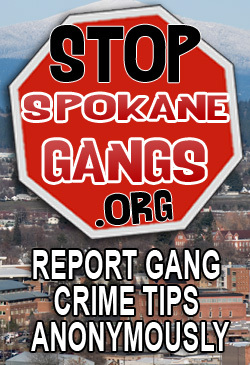 To disrupt and dismantle the most significant criminal gangs in Spokane and the surrounding area. Investigators have made a fourth arrest in connection to the brutal beating that left a 15-year-old Spokane Valley boy in the hospital for several days. Alexis B. Dawson, 25, was arrested by officers of the interdepartmental Spokane Regional Safe Streets Task Force. She is being held in the Spokane County Jail with Tyson N. Taylor, 22, who was arrested June 18 along with two juveniles. All are charged with first-degree assault. The beating occurred on June 15. A passerby found the boy unconscious and called 911 just before 11:30 p.m. near the 600 block of North Farr Road, according to the Spokane County Sheriff’s Office. Shortly after the incident, Tinese Burnett said her son, whom she asked not be named, suffered a fractured skull after being struck in the forehead with a metal baseball bat. He underwent brain surgery at Providence Sacred Heart Medical Center, she said. Dawson’s bond was set at $75,000. Taylor’s was set at $25,000. Deputy Mark Gregory, sheriff’s office spokesman, said more arrests may be made as the investigation continues. Although the Safe Streets Task Force specializes in violent, gang- and drug-related crimes, Gregory said there is no indication the beating involved a gang.